It’s finally feeling like spring! What better way to celebrate than bringing a new pet into your home? We want to help you find your new best friend! 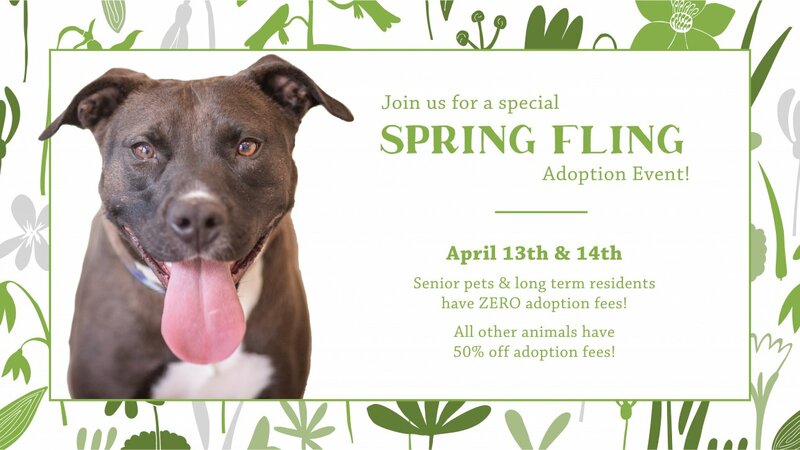 All adoption fees will be half off all weekend AND all senior pets and long-term residents will have their adoption fees waived entirely!